Internet retailer is reportedly testing out the field to see if its time to get into physical retail. 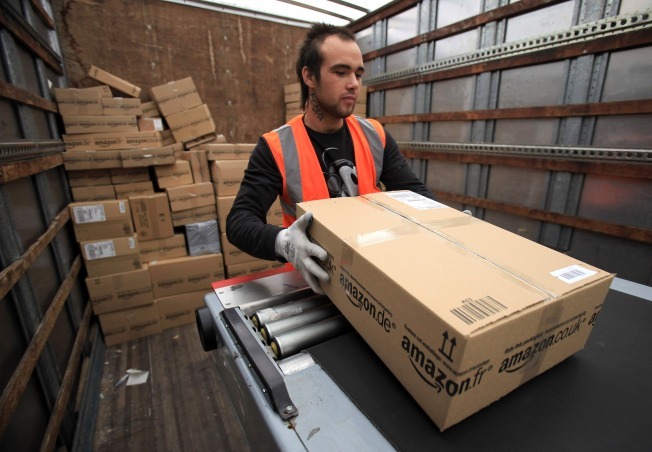 The days of having to wait for that Amazon package to arrive could soon be over. Now that Amazon is at tax peace with California and several other states across the nation, is it time for the Internet retailer to open brick and mortar stores? For years Amazon was able to skirt around state tax laws by a Constitutional ruling that it argued prevented it from having to charge its customers tax in a state where it did not have a physical presence or employees. But last September, Gov. Jerry Brown signed a compromise agreement with Amazon, which will require all Internet retailers to collect tax on all sales being shipped to California starting in September 2012. Amazon has struck similar compromises with other states and now with no tax loophole to skirt, the Internet retailer is reportedly looking at opening its first retail store. Amazon is reportedly eying a location in Seattle to open a brick-and-mortar store within the next few months to sell exclusive books, e-readers and tablets. The store would serve as a dry run to see if there is enough demand to open more across the country.